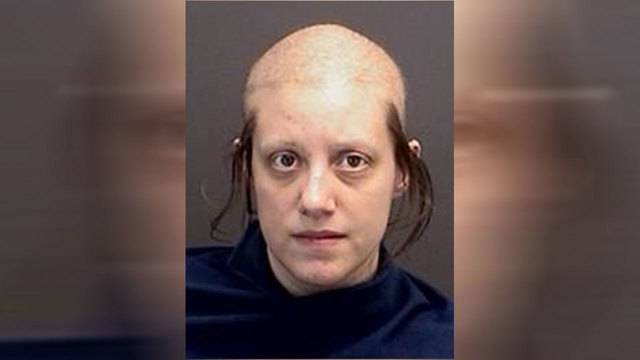 A Texas woman was arrested by Wichita County authorities after she sent a package to a criminal, who is serving time convicted of capital murderer, containing methamphetamine, police say. 29-year-old Sara Elizabeth Russell now faces charges herself for prohibited substance in a correctional facility, for trying to distribute the methamphetamine package to the convicted murderer. Jason Burkett, the would-be recipient of the illicit narcotic, is housed in the James V. Allred Unit prison in Wichita Falls, Texas, on 2101 N Farm to Market 369 near Iowa Park. According to<a href="https://www.texomashomepage.com/news/local-news/woman-arrested-after-sending-meth-to-murderer-investigators/1313615313"> NBC local news affiliate KFDX News</a>, Texoma’s Homepage, a state investigator was tipped off by a mailroom employee at Allred prison that they'd discovered a “bulge” behind a handmade card for Burkett, which included a polaroid photo. After the employee pulled a photograph out of the envelope, she could see a clear package with what appeared to be a white powdery substance inside, that law enforcement later say tested positive for the illicit narcotic methamphetamine. The name and address on the package were also nearly illegible, with the initials “RTS” drawn onto it. The card had originated from within the prison and was mailed to Russell from Burkett, who made an effort to disguise the drugs inside the photograph and send back to the prison as if the mail hadn't been received or went to the wrong address. Prison authorities would later question Burkett, who denied any knowledge of either shipping a letter with narcotics inside to Russell or asking her to send him any narcotics in return. Their clever scheme clearly failed, as the Texas Department of Public Safety Crime Lab tested the package for fingerprints, which only had Burkett’s prints on the outside. Investigators didn't buy the story from Burkett, and quickly understood what had transpired, leading them to further examine the contents of the letter which had pre-written directions for Russell exactly how to attempt to smuggle the drugs into the prison via mail, even telling her to tape the edges of the photograph containing the meth so as to not be noticed by the mailroom inspection. Burkett is serving two life sentences for the murder of two young boys in Conroe, Texas in 2001, and his co-defendant, in that case, has already been executed for the murder along with the killing of one of the children's mothers. Russell is now in the custody of the Wichita County Jail, where she's being held on a $10,000 bond, and soon will join Burkett behind bars for their methamphetamine-driven schemes. Please don't ever let that thing out! It's obviously got some really bad mental issues, especially trying to get drugs to murdering filth! At least lock it up till it's hair grows back and it's to old to do anymore harm! It’s the stuff nightmares are made of! !